VARIETY DESCRIPTION: Bold yet refined. Strong, yet smooth. A study in contradiction or a reflection of the man for whom it was created? Maybe both. This inspired blend of medium-roasted Central American and darker-roasted Indonesian coffees is rich, robust, and satisfying. Made with 100% organic Arabica coffee. 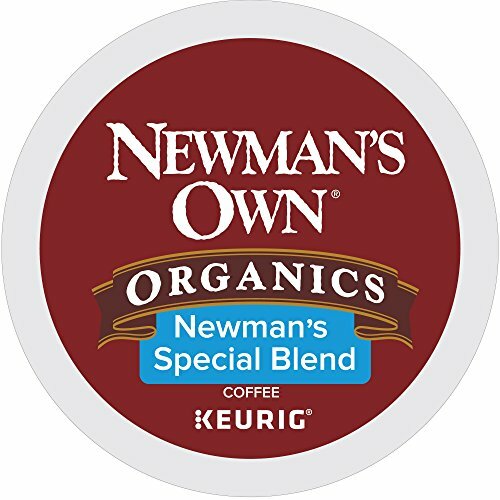 GREAT TASTING COFFEE THAT HAPPENS TO BE ORGANIC. SOME RELATIONSHIPS ARE MEANT TO HAPPEN. It seems only natural that two companies with a shared vision of a better world would unite to bring you exceptional coffee and the chance to make a difference. Fair Trade organic coffee gives you great taste and the chance to make a real difference in the lives of coffee farmers around the world. Because farmers get a fair price for their crop, they are better able to take care of their land, their families, and themselves. PACKAGING CHANGE: In the next few months you may notice a change to the K-Cup pack lids. We have provided an image of the current K-Cup pack lid design, as well as the new K-Cup pack lid design. Please note the product ingredients have not changed.